SAN FRANCISCO, December 18, 2018: Farella Braun + Martel LLP is pleased to announce that Kelly Matayoshi has been named President-Elect of the Bar Association of San Francisco’s (BASF) Barristers Club Board of Directors. After a one-year term beginning on January 1, 2019, Matayoshi will step up to become President. Erica Villanueva has been appointed to BASF’s Board of Directors as of January 1, 2019 for a three-year term. The 2019 officers and board members will be installed at the BASF Annual Membership Luncheon on December 18, 2018. 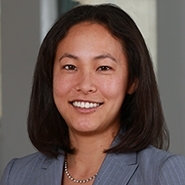 A senior associate, Matayoshi focuses on complex civil litigation, including resolving contract disputes, products liability claims and subrogation defense. To learn more about Kelly Matayoshi, click here. Villanueva is an insurance recovery partner at Farella. 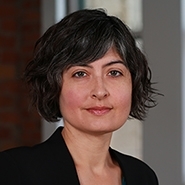 She advises policyholders seeking to maximize coverage under their insurance policies and litigates insurance coverage disputes. She has substantial coverage litigation experience, both at the trial and appellate levels. Villanueva served as chair of BASF’s Insurance Law Section in 2018 and just completed a three-year term on BASF’s Judiciary Committee. To learn more about Erica Villanueva, click here. Farella Braun + Martel LLP is a leading Northern California law firm representing corporate and private clients in sophisticated business transactions and complex commercial, civil and criminal litigation. Clients like our imaginative legal solutions and the dynamism and intellectual creativity of our lawyers. The attorneys in each practice group work cohesively in interdisciplinary teams to advance the clients’ objectives in the most effective, coordinated and efficient manner. Founded in 1962, we are headquartered in San Francisco and maintain an office in the Napa Valley that is focused on the wine industry.